Most of us drive every day, and Buick/GMC accessories are a great way to spruce up the driving experience. Here are some great ideas that you can get for your loved ones this holiday season. Remember, some accessories may not be available for all models - contact us for details. One way to beat those frosty mornings is by starting your vehicle before you get to it. With this Remote Start System, you can say goodbye to chilly commutes. Made from a durable rubber material that cleans easily with soap and water, these front and rear mats are perfect for keeping the interior of your Buick or GMC as clean as the day you bought it. 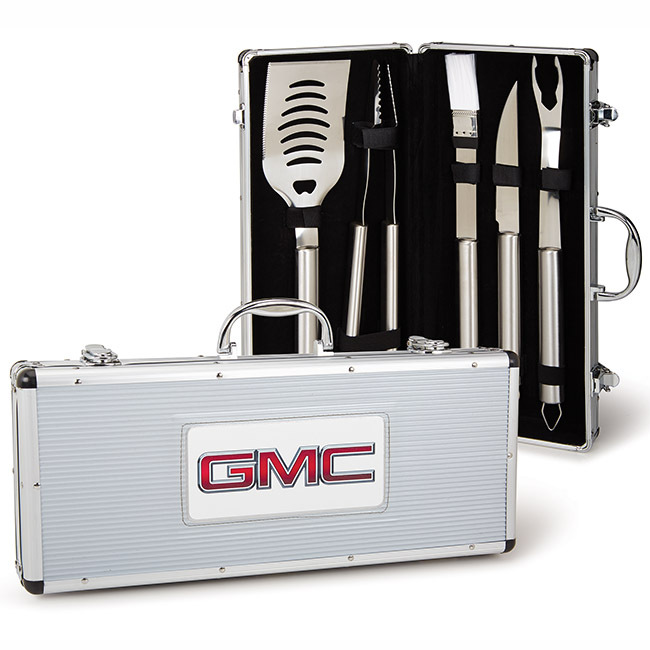 You probably keep a spare toolkit in your truck, but what about a spare BBQ tool set? Always be ready for impromptu tailgates or cookouts with this five-piece stainless steel set that includes a cutting knife, sauce brush, tongs, fork, and spatula. Plan on exploring the outdoors soon? With several different options for carting bikes, luggage, and more, you'll be able to transport your gear with ease. We are always ready to help our customers in any way we can, so don't hesitate to call or stop by to learn more about any of these great Buick/GMC accessories, and happy holidays! *Some accessories may not be available for all models--contact us for details.